Shows like a dream! 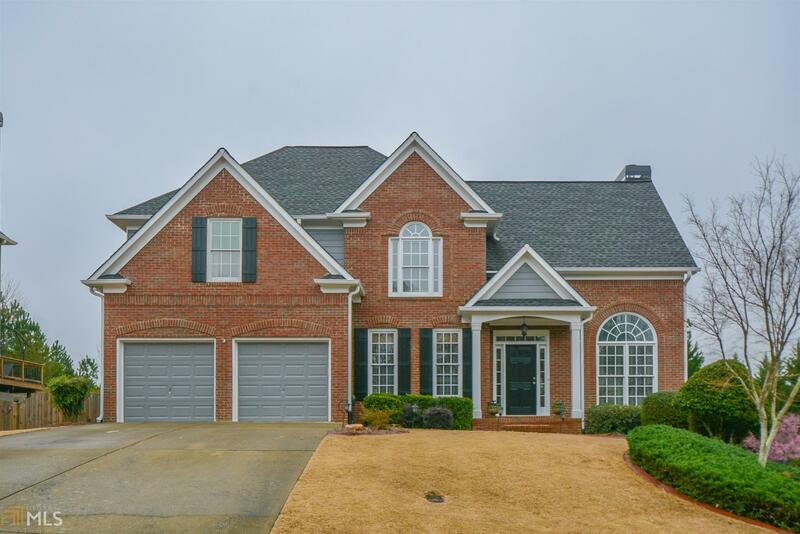 2017 updates include: architectural shingle roof*water heater*2nd floor HVAC unit*ceramic farm sink*new fans in bdrms*recessed lighting in kitchen*custom bookcases/shelving & lighting in LR*oversized deck*exterior painted 2017 & kitchen cabinetry custom painted. Open & bright w/spacious rooms,large kitchen w/bfast area*custom pantry*bead board covered island! Dining room w/farmhouse wall mouldings*2 story family room w/gas fireplace & generous bedrooms & closets. Large master suite w/sitting area*barn door to closet w/built ins! Mostly finished bsmt. Directions: 575n To Exit 11. Go Lt Off Ramp, Rt On Bells Ferry Rd, Lt On Gold Mill Ridge, Last Bridgemill Entrance. Home On Lt.